Cool new T from Urban Outfitters. 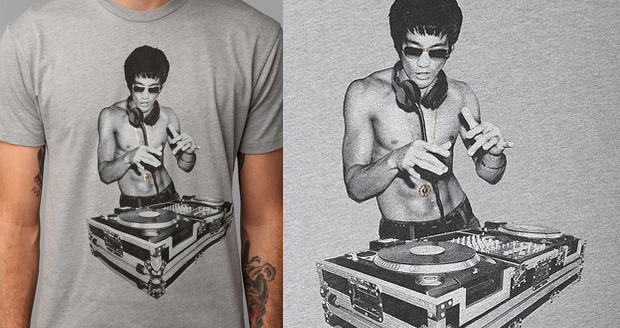 Featuring a DJing Bruce Lee watch out for the 1-inch drop! 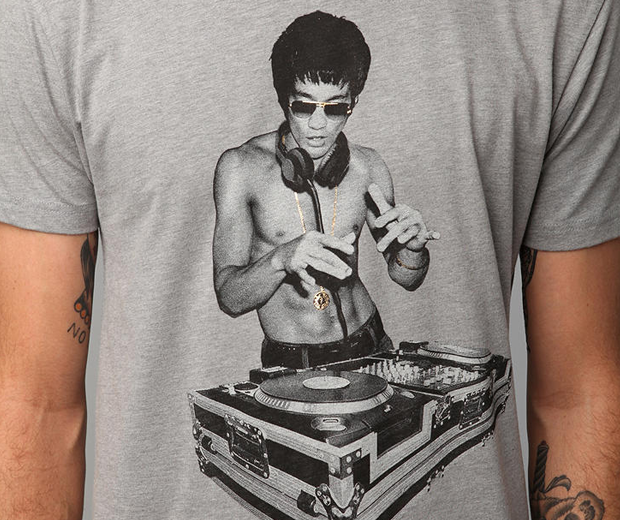 T is made from super-soft knit and is complete with gold accents on Bruce’s chain and sunglasses.